Angela Zurlo joined her family brokerage house, Levante Mare at the age of 24. She began concentrating primarily on Italy and the Mediterranean. Here she offers her expert opinion on the must-sees in the area. Naples and the Amalfi Coast offer everything you would want in a yacht charter – a beautiful sea, magnificent rocky coastline and a rich history. I suggest that my clients begin their charter in Naples, from the marina of the Grand Hotel Santa Lucia. This is the most beautiful marina in Naples and is located in the centre of the town — only a five-minute walk from the Castel dell’Ovo. My favorite restaurant is Trattoria da Ciccioto in Marechiaro, which overlooks the sea. You might be rubbing shoulders with celebrities here, but the food is amazing and is a grand example of wonderful Neapolitan/Mediterranean cooking. From Naples the yacht will cruise to Ischia, about 15nm to the northwest. Ischia is a very fun place, especially for young people. From the famous disco/cafes, like Valentino, to the thermae or ‘hot springs’ to the numerous restaurants (such as Riva Mare) and spas, there is plenty to do. At the very least I recommend that guests visit the thermae – there are three or four sites (of which the Terme di Sorgeto is the most famous) where the water is warmer – even hot at times – and simply wading in for a swim or bath is said to be very good for the skin. There is a mountain in Ischia that allows for hiking in all seasons, but the area is known for its beautiful bays and beaches, probably the best of which is the Baia di Sant Angelo, which is very nice for swimming or a romantic stroll. It is important to note that jet skis are prohibited in this area and in the sea of Naples. Even swimming can be dangerous because the waters are extremely busy. Next it’s onto Capri and the famous Baia dei Faraglioni, the home to the three large rocks that are so well known to Capri. For eating ashore, I recommend Da Luigi ai Faraglioni, another well known spot that overlooks the gulf of Naples and provides an amazing view. It’s a little expensive, but it is wonderful. If it’s nightlife you are looking for, plan to begin your evening at midnight at the taverna Anema e Core, a hot spot for celebrities where the draw includes the owner who plays the guitar and makes up a song about his special guests on the spot. After that, the only disco in Capri is called Le Clochard, which is very small but very nice indeed. After the night out, a relaxing visit to the Blue Grotto is in order. A private VIP tour can be organised so that you can swim and enjoy this exquisite sea cave. 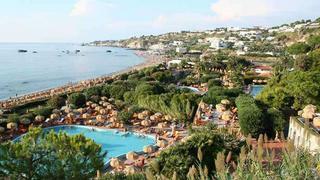 Another very nice bay is the bay of Marina Piccolo that offers great swimming and sunbathing. From Capri, we head for lunch in the bay of Nerano, which is known for its seaside restaurants. On the topic of food, there is another very famous and very good restaurant called Don Alfonso in Massa Lubrense. This hotel offers cooking classes and we regularly organise classes for our charter guests – to learn to make pasta yourself. 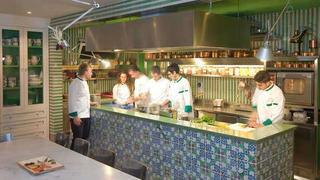 The Mediterranean style of cooking is a great experience. From there you are on your way to Positano and finally, Amalfi. Positano needs no words. In front of Positano there are three big, beautiful rocks called Li Galli. They form a bay inside where guests can swim and dive. The swimming and beautiful water continues in Amalfi, rounding out a splendid Italian coast experience with serene relaxation.